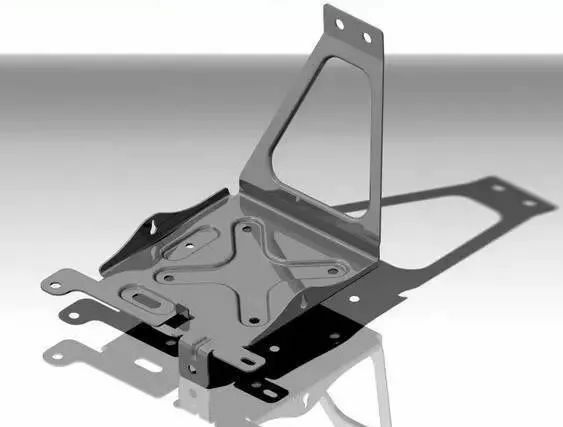 The technique of sheet metal parts has its inherent characteristics. The induction and summarization of technique theory can help to improve the technician’s skills to sheet metal fabrication, which is conducive to the design of more optimized technological process and fabricating plan. Under the premise of existing equipment processing capacity and product structure, optimize the structure from the process point. Based on production dynamic balance and flexible coordination, it is the main duty of sheet metal technologist to develop the optimized process method. Sheet metal parts have their own thin, easy forming characteristics, can be made into various shapes of components. With the application of welding, assembling and riveting, the possibility of realizing multi-structure is given. 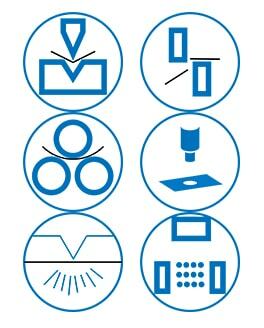 At the same time, these characteristics also make the sheet metal parts to be more or less deformation in the process of fabricating, such as bending deformation, twisting deformation, concave and convex deformation, etc. These deformations change the size or shape of the entire component, causing quality problems. 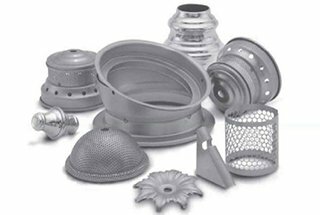 However, the production process of sheet metal parts has its inherent laws, which can flexibly adjust the sequence of fabricating according to the existing equipment and manpower and give a reasonable processing technology. Therefore, choosing the correct technological route is effective prevention and solution to this kind of problem. The development of a technological route must combine the shape of the product and the existing processing equipment of the company to meet the requirements of product quality and achieve maximum economic benefit. The technical staff’s consideration of quality comes from the sense of the function and appearance of the product structure, and the proficiency of knowing the equipment processing capability. Considering the integration error of the whole machine and the optimization of product processing methods to reduce the difficulty of processing and the setting of a relatively stable technological route in batch production are the three directions to be considered in technique preparation. The accumulative error coordination is a comprehensive reflection of the cumulative tolerance of the product itself, and the corresponding tolerance allocation should be done during the process analysis to ensure that the accumulative error is within the controllable range. Ac electric control cabinet is the typical product for this situation, here we take this as an example to discuss in detail. Ac electric control cabinet can be processed into mounting type cabinet and welding cabinet. It is common to assemble the mounting type cabinet, the typical structure of the assembly cabinet is made up of the top frame, bottom frame, upright post, front door, back door and side door (board). If these components can be processed well, the fabricating quality of cabinet can basically be ensured. Generally, the customer has a certain requirement for the overall appearance size of the cabinet after assembly, requiring that the size error of the diagonal dimension X1 and X2, X3 and X4 are less than 2mm. According to the installation condition, the customer has control over the width of L3, but not strict in height and thickness. Because when the customer designs the cabinet, generally use the body shape to get the required size, without considering the coating film thickness, which causes the size errors of the cabinet dimension after it is sprayed and assembled. Therefore, it is necessary to adjust the residual amount of spraying and covering of each component to meet the width of L3, and also ensure the dimensions L1 and L2. Usually, the top frame, the bottom frame and column are adjusted in accordance with the required adjustment. The adjustment size is different for different assembly. Front door, side door commonly embed installation in the upper and lower door lintel, so the outline dimensions generally take a negative deviation. Coated allowance to do corresponding adjustments according to the type of the spraying. Considering assembly clearance and other factors, re-adjust spraying allowance on the basis of getting the control size deviation (for door plank, leave 0.5 ~ 1 mm coating layer allowance after taking negative deviation). The optimization of the processing method lies in the adjustment of its processing sequence or the improvement of the process, which can be analyzed by a simple example. If a door panel is expanded, the quality and time can be considered in single piece processing. 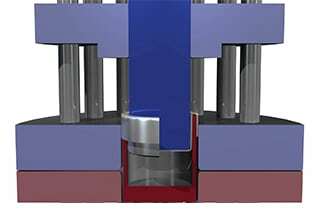 Such process saves time and effort, but the mass production will increase the damage to the cutting tool, and greatly increases the maintenance cost of the machine tool. In addition, a slight problem with the programming will cause irreparable damage. The improvement of this scheme not only saves the cost of raw materials and equipment maintenance but also greatly reduces the error rate of programming. The stability of the process route choice should match the production batch, process routes will face different choice because of the change of production batch, products in the development phase is different from small batch production. Development phase focuses on product integral structure validation and processing timeliness, and is not sensitive to fabrication cost, small batch production is focused on process validation, local optimization for the single structure and prepare a moderate amount of mold. The technique chosen by batch production will take cost as the top priority, optimize the process as much as possible and save cost. Through the comparison of the above three technological routes, the three schemes can effectively meet the requirements of customers, but each one has its own characteristics. Need a lot of labors and time consuming (lineation hole punch), which cause large-scale process loss. Generally, it is only suitable for the fabrication of single products, which is not recommended in bulk production. More use of machine tools. It is much faster and can make multiple pieces in one-time. Suitable for medium and small batch production, but it needs to be cut again after finishing, may cause a small displacement of the hole. It is suitable for mass production and processing on the basis of making a suitable mold, saving time and effort. Through the above discussion, the choice of the fabrication technique is closely related to the impact of processing loss and batch production. I think the choice of fabrication technique should be a comprehensive consideration of various factors, so choose appropriate fabricating plane is particularly important according to different production conditions. 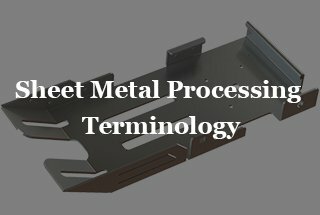 The processing technology of sheet metal parts is a more complex problem. 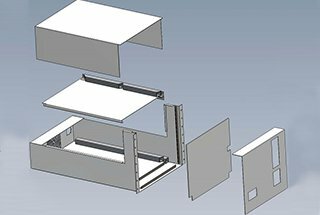 This post briefly describes the basic principles of fabricating technique setting of general sheet metal parts, in order to find the basic method of fabricating technique set. In conclusion, as an engineer, we should set up the concept of cost, combine the cost in the process, and view the process setting from the overall global perspective.